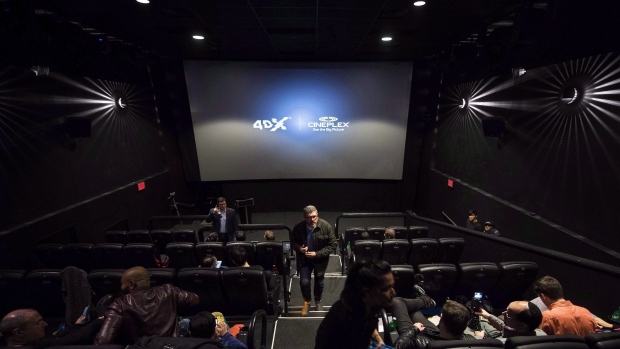 The companies opened Canada’s first 4D auditorium at Cineplex Cinemas Yonge-Dundas in Toronto in 2016 and both reported a successful reception. The set-up aims to make the traditional cinema experience more immersive through the use of special effects including motion-synchronised seats, wind, fog, rain, lightning, snow, bubble, vibration and scents. Korean-based CJ 4Dplex is pushing its immersive 4DX cinema system deeper into Canada. Cineplex Inc. ("Cineplex") is one of Canada's leading entertainment companies and operates one of the most modern and fully digitized motion picture theatre circuits in the world. A top-tier Canadian brand, Cineplex operates numerous businesses including theatrical exhibition, food service, amusement gaming, alternative programming (Cineplex Events), Cineplex Media, Cineplex Digital Media, The Rec Room™ and the online sale of home entertainment content through CineplexStore.com and on apps embedded in various electronic devices.